Dental Hygiene is the key foundation of a healthy smile and is the action of cleaning your teeth and gums. Your oral health is our priority and we offer a range of preventative and routine treatments to ensure the health and appearance of your gums is maintained. Our hygienist Charlotte, is specifically trained in the prevention of gum disease and to educate patients on how they can maintain optimum oral health. At your hygiene appointment, Charlotte will carefully examine your mouth and check for any inflammation, bleeding, swelling and the presence of plaque and calculus. She will then go onto remove this plaque and offer guidance on support on how remove stains, improve gum health and clean between visits. Gum disease causes the gums to become sore, inflamed and irritated. The first symptom is normally bleeding when you brush your teeth. There are different stages of gum disease – the early stage, known as gingivitis, is relatively simple to treat, but if left untreated, it can become a more advanced and painful form of gum disease known as periodontitis. How do I know if I need to see the hygienist? Your hygienist will recommend how often you should be visiting here, routine maintenance is normally every 6 months but you may be required to see the hygienist every 3 months depending on your oral health. What is Cosmetic Stain Removal? 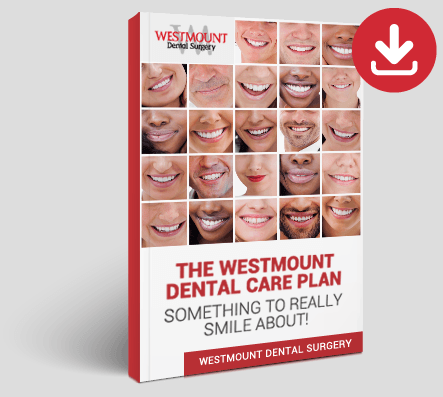 At Westmount Dental Surgery, we have many patients who come to us as a result of stained teeth caused by red wine, tea, coffee and even smoking! Cosmetic stain removal is the perfect treatment option for removing these stains. Using ‘AirFlowTM’ technology, stains are removed by the projection of tiny carbonated particles and water pressure onto the surface of and in between each tooth. Although cosmetic stain removal is not a whitening treatment, patients often comment on how much cleaner and whiter teeth appear after treatment. Our Patient Care Co-ordinators are available to chat with you about any aspect of cosmetic stain removal, just call us today!